It is a combination of vivacious and exuberant flavours combine spring blossom, lush textures and beautiful floral top notes. 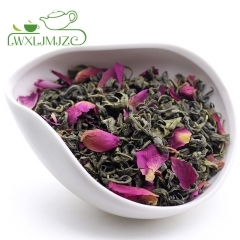 The fragrance of this tea shouts fresh, and the taste is very clean and sweet. There is a very limited amount of this tea. 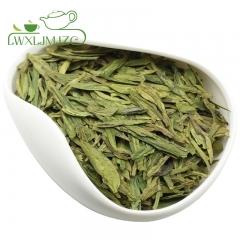 What is Bai Cha Long Jing Green Tea? 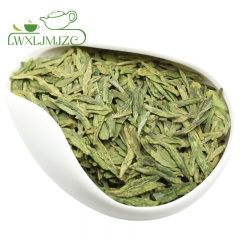 Bai Cha Long Jing is a rare green tea from Zhejiang province, China. Different from common Long Jing tea, Bai Cha Long Jing is made with white tea from An Ji county. The tea is pan fired with the same technique as common Long Jing, but all the work is don by hand, it tastes sweeter and smells more fragrant. 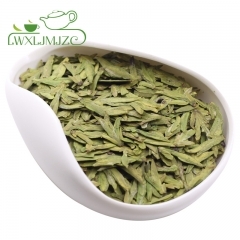 The leaves of white tea appear off-white during early spring; when temperature grows warmer in late spring, they gradually change to dark green. 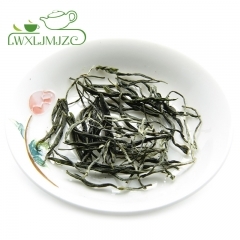 White leaf tea is different from other teas, its branches are tortuous, thin and translucent. This tea grows only in solitary mountains, and a few plants can be found. To 1996 its growing area increased to 160 acres in Anji, producing less than 1,000 pound of tea a year. The harvest start from early spring and last about a month. The standard picking is one shoot with one or two tender leaves under one inch long. About 2,000 leaves will make one ounce of tea. The tea harvest time for the best tea occurs for the short amount of time before the leaves turn color. 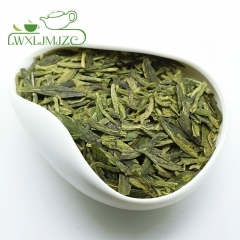 During this period the amino acid theranine is double that of other teas. Bai Cha Long Jing leaves are stringently checkecd to ensure minumal or no chemical contamination. 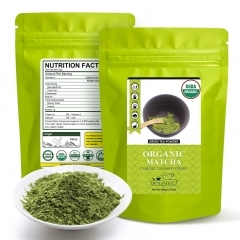 Therefore it is a truely organic and numerous award have been given to the tea for it's quality and taste.